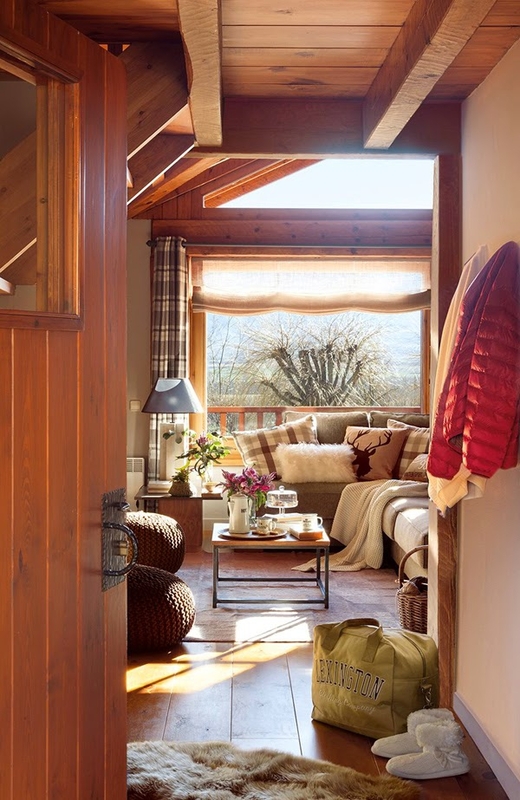 It is the little details that make this adorable country home such a gem. 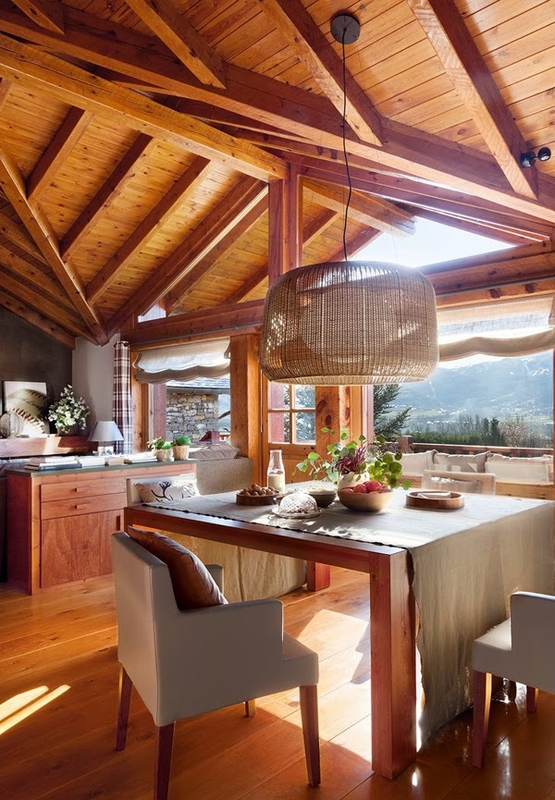 Composed frame by frame, this Spanish chalet brings together a harmonious blending of color and texture, creating warm, cozy invitations that win us over instantly. Drawing on traditional sensibilities as well as a modern aesthetic, this design speaks volumes through every aspect of its design and articulation. 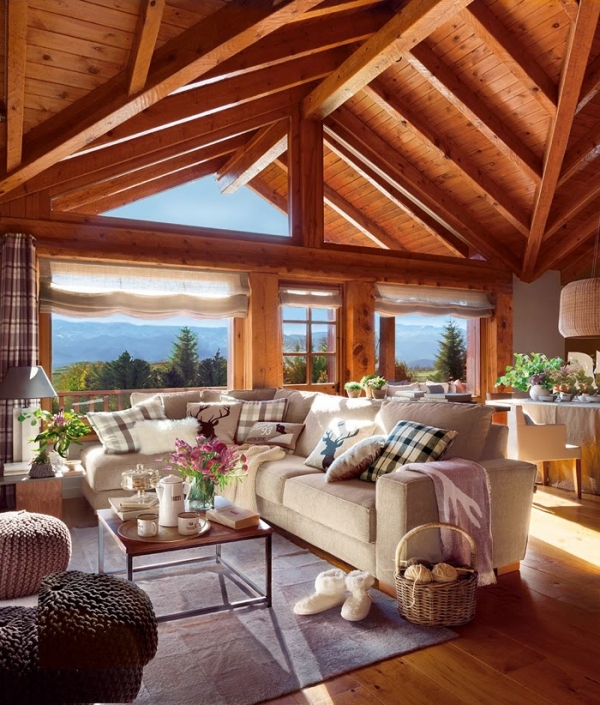 Giving the views outdoors a run for their money, the interiors of this chalet are dominated by the warm and grainy textures of bare wood. 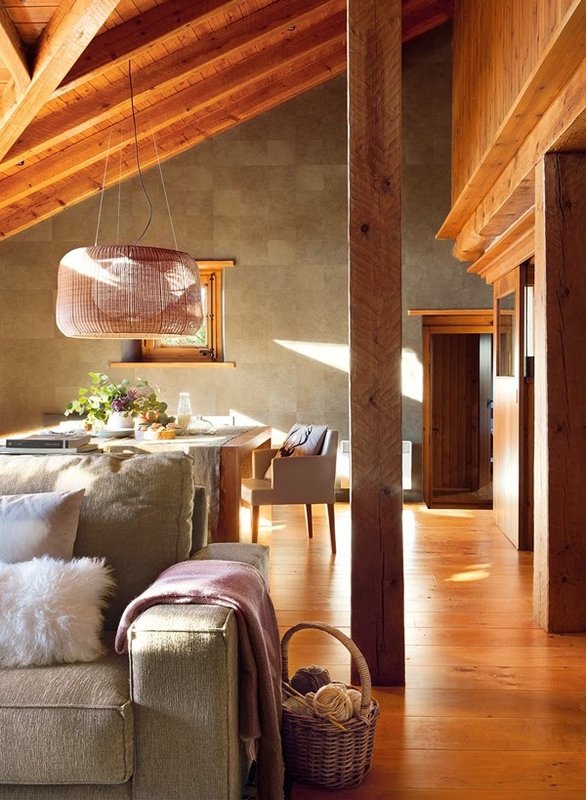 Crafted into an array of structural and non-structural elements, it brings a rustic charm to the space and a masculine solidity to the structure. These crisp definitions and rigid lines contrast beautifully with a selection of contemporary materials and ideas, adhering to a muted overtone that blends gracefully among it. 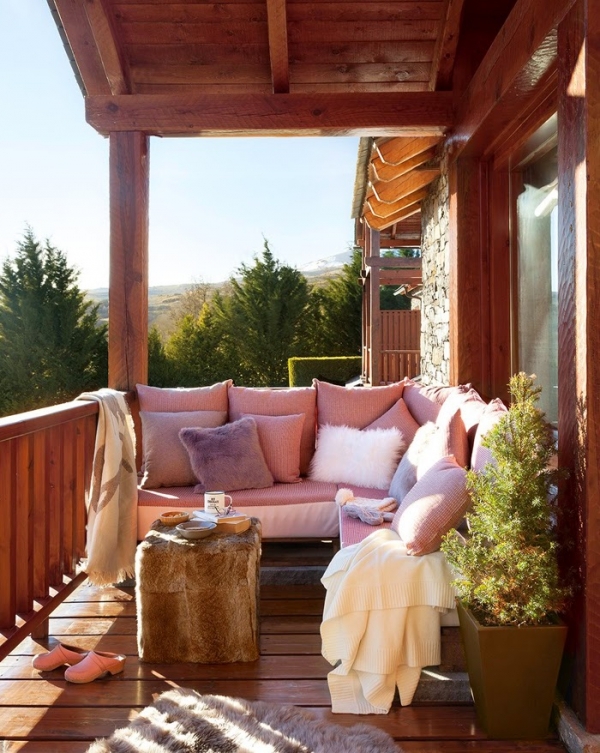 Underplaying on color, tone and texture, the furnishing bring a soft, feminine grace that strikes a balance in this design. It also lends an air of informal ease that embraces visitors and encourages them to kick back and unwind. 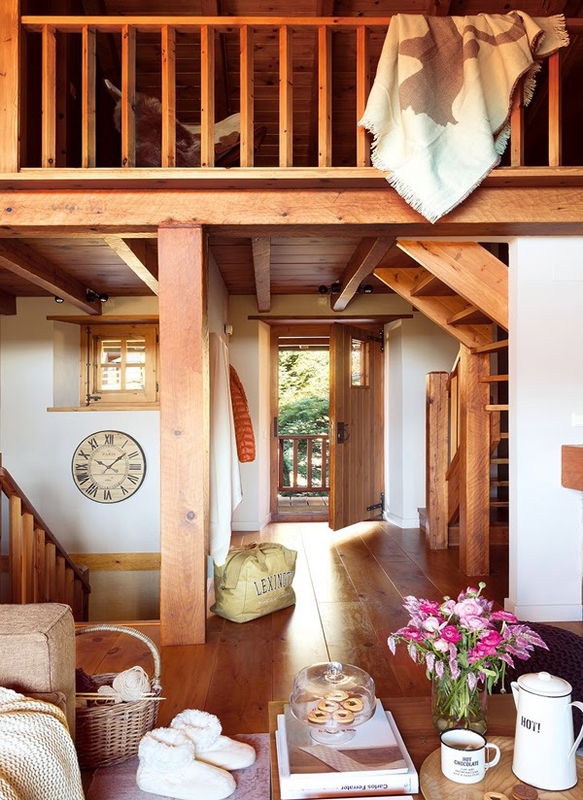 This adorable country home is abundant in intricacy; carefully chosen fixtures and elements add layers within the decor, creating experiential and visual interest. 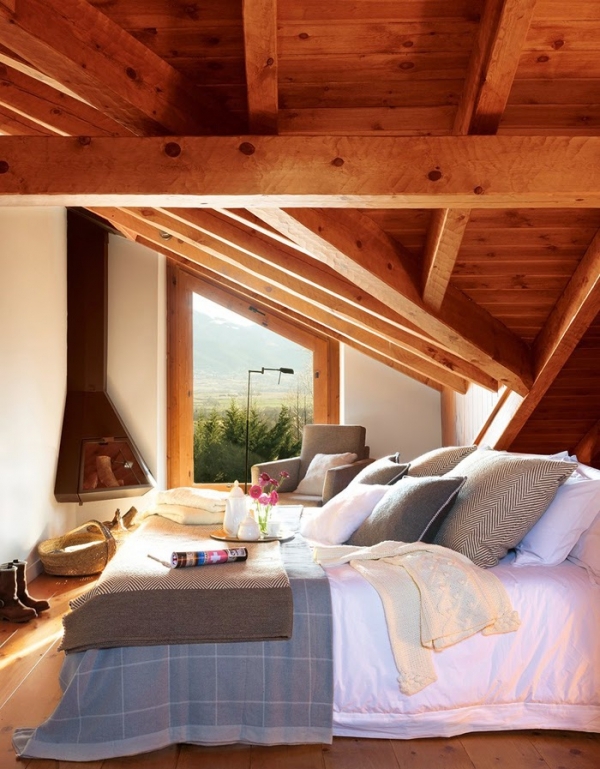 Bedrooms are simple, comfortable and charming; borrowing from traditional country bedroom ideas, the wooden ceilings here set character and rhythm to the space. 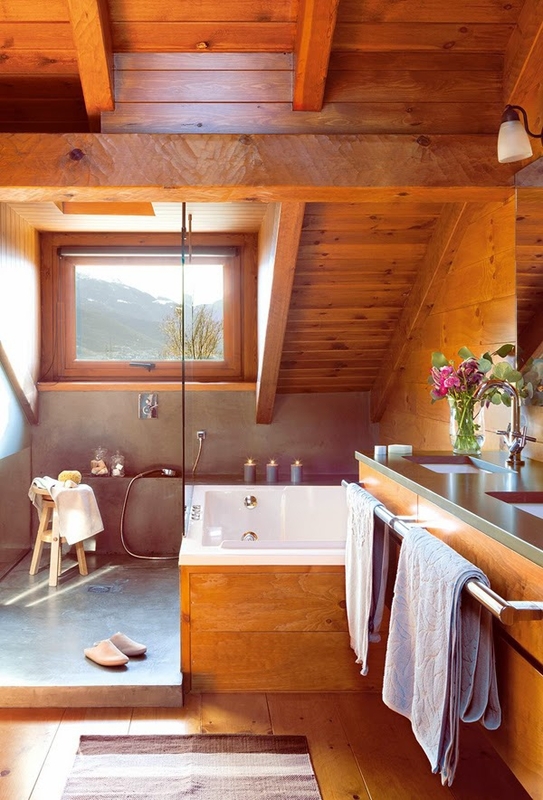 The bathrooms on the other hand are distinctly modern, set in cool concrete and warm wooden surfaces.